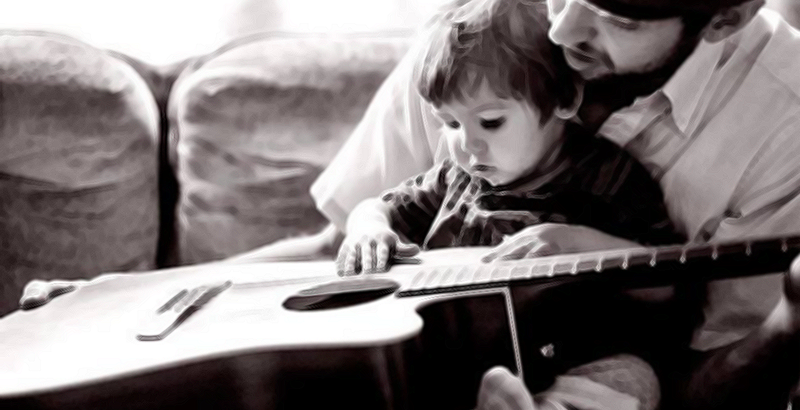 Here are 5 songs with very different perspectives on the role taken on (or not as the case may be) by fatherhood. In the pop stars' iconic song, Madonna tells her father about her pregnancy and though it's probably not what one would want to hear on Father's Day from their young daughter, the defiant song is a highlight on Madonna's 1986 album "True Blue." Singing "What I need right now is some good advice," she reaches out to her dad for guidance. Madonna's single was No. 1 on the Hot 100 for two weeks in 1986. Eric Clapton, "My Father's Eyes"
Clapton wrote this song to parallel looking in the eyes of his son, who died at age four, and the eyes of his father, who he never met. The heartbreaking song shows the singer longing for the experience of a father-song relationship: "Bit by bit, I've realized," he sings, "That's when I need them / That's when I need my father's eyes." The single made it to No. 2 on the Adult Contemporary chart in 1998. From the 1972 album "All Directions," this classic single is about an absent father. They sing, "Papa was a rollin' stone /Wherever he laid his head was his home / And when he died, all he left us was alone." It was a No. 1 Hot 100 single in 1972. Written in the days after with Beyonce gave birth to their daughter, this song sees the rapper experiencing the joys of fatherhood for the first time. "Words can't describe what I'm feeling, for real," Jay confesses. "Baby I'll paint the sky blue / My greatest creation was you." The song even opens with Blue Ivy's heartbeat. It thumped up to No. 63 on the Hot R&B/Hip-Hop Songs chart at the end of January 2012. Luther Vandross, "Dance With My Father"
A guaranteed tear-jerker, Vanross wears his emotions on his sleeve as he pines for the days "before life removed all the innocence" where he'd joyously dance with his late father before being carried to bed. The single peaked at No. 38 on the Hot 100 chart in 2003.